A FRENCH COURT has sentenced Poland’s former honorary consul in Monaco to life imprisonment for ordering the murder of his ex-partner’s mother, billionaire heiress Helene Pastor. Pastor, 77, and her driver, were gunned down in her car in the French city of Nice on 6 May 2014. 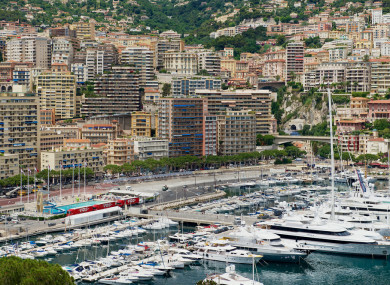 The killings shocked the tiny principality of Monaco, where Pastor’s family had built up a huge real estate portfolio of around 4,000 apartments, providing her with an estate worth some €12 billion. Wojciech Janowski admitted after his arrest to hiring contract killers then later retracted his confession before again admitting guilt at the close of the trial on Tuesday. The gunman Samine Said Ahmed, and his accomplice Al Hair Hamadi, who acted as lookout, were also given life sentences. Pastor’s son Gildo Pallanca-Pastor called Janowski’s an “exemplary sentence”. “I was also convinced of Wojciech Janowski’s guilt,” he told AFP, saying he was glad that the jurors had not been “duped” by his eleventh-hour show of contrition. Yesterday, Janowski apologised to his former partner, Pastor’s daughter Sylvia, and to his children. His lawyers on Tuesday claimed he was trying to protect his partner Sylvia Ratkowski from her mother, who had made her life a misery, and that he had not ordered the two hitmen to kill her driver. But the prosecution argued that Janowski was merely anxious to get his hands on part of Pastor’s fortune. A total of 10 people were tried over the murders. The prosecution described the 10 as “a network” extending from the “splendours of Monaco to the slums of Marseille” where the hitmen were recruited. Janowski’s former personal trainer, Pascal Dauriac, who helped him recruit the killers, was given a 30-year jail term. Four other defendants received jail terms of up to 15 years while another two were acquitted. Email “Man sentenced to life in prison for ordering the murder of his ex-partner's billionaire mother”. Feedback on “Man sentenced to life in prison for ordering the murder of his ex-partner's billionaire mother”.